The effect of climate change on our gardens and new pests and diseases are key priorities for the Royal Horticultural Society over the next five years. 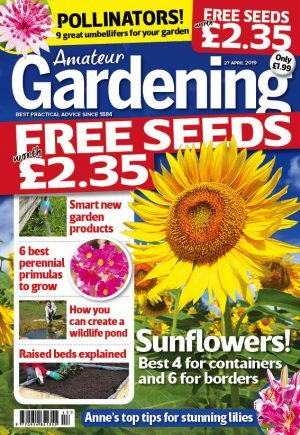 Its new science plan, called The Royal Horticultural Society Science for Horticulture Strategy, warns that the UK’s 27 million gardeners will face challenges. RHS chiefs want to research how plants will adapt to climate change, such as intense rain or drought. They’ll look at potential benefits of grey water (water from baths and washing-up) and analyse its impact on human and soil health when used in gardens. There are 400,000 different kinds of garden plants grown in the UK, and research will examine if they can cope with climate change – and look at how gardens can become more eco-friendly. Scientists will work with the Universities of Sheffield and Virginia to investigate the influence of gardens on human health and wellbeing. Research will focus on the impact of the loss of front gardens, which are being paved-over to create off-road parking.